for $795,000 with 2 bedrooms and 2 full baths. This 1,650 square foot condo was built in 1981. DIRECT GULF ACCESS - BAY VIEWS - MINUTES TO THE BEACH...what could be better? This two bedroom unit is now available to purchase, and ready for your personal touch. From boats to dolphins, the expansive lanai with wide views of Moorings Bay allow you to glimpse just some of the beautiful scenery Admiralty Point has to offer. Unit comes with updated mechanicals (A/C, H/W heater), as well as storm shutters on lanai. This is a spacious 2 bedroom split floor plan, but professional drawings to convert into a 3 bedroom are available. 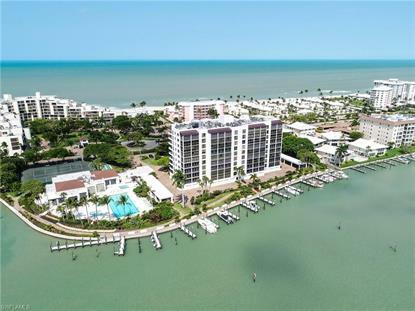 Residents at Admiralty Point enjoy many amenities, including two renovated clubhouses with swimming pools and spas, state of the art fitness center, Har Tru tennis courts, kayak launch, and community boat docks just a few minutes away from Doctors Pass and the Gulf, just to name a few. With beach access located directly across the street, this is a great opportunity for boaters and beachgoers alike to be west of 41!